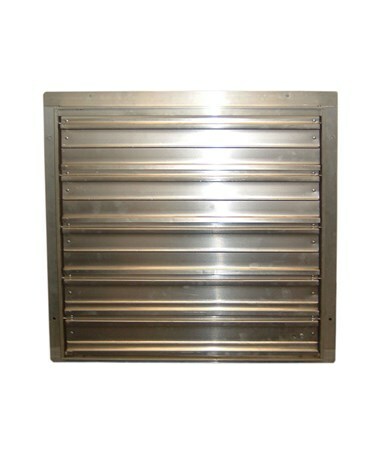 Select Fan Size 12" 16" 18" 20" 24" 30" 36" 42" 48" 60"
The Heavy Duty Exhaust Shutter for TPI Exhaust Fan is a tough exhaust fan accessory that is used for various industrial and commercial applications. This TPI shutter is mounted 1/3 the distance of the fan opening size to provide the best shutter efficiency. Also, it is perfectly compatible with the TPI exhaust fans (shutter-mounted, guard-mounted, venturi-mounted, commercial belt-drive and cabinet exhaust fans). 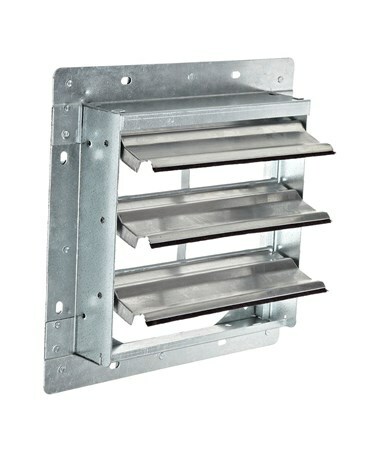 This TPI heavy duty exhaust shutter features a weather stripping for a tighter enclosure. With its aluminum construction, it also consists of heavy duty blades. In addition, the TPI exhaust shutter should be sized to fit the exhaust opening. Please Note: Mounting is based on this example, a 36” fan shutter should be mounted 12” from the fan blade. 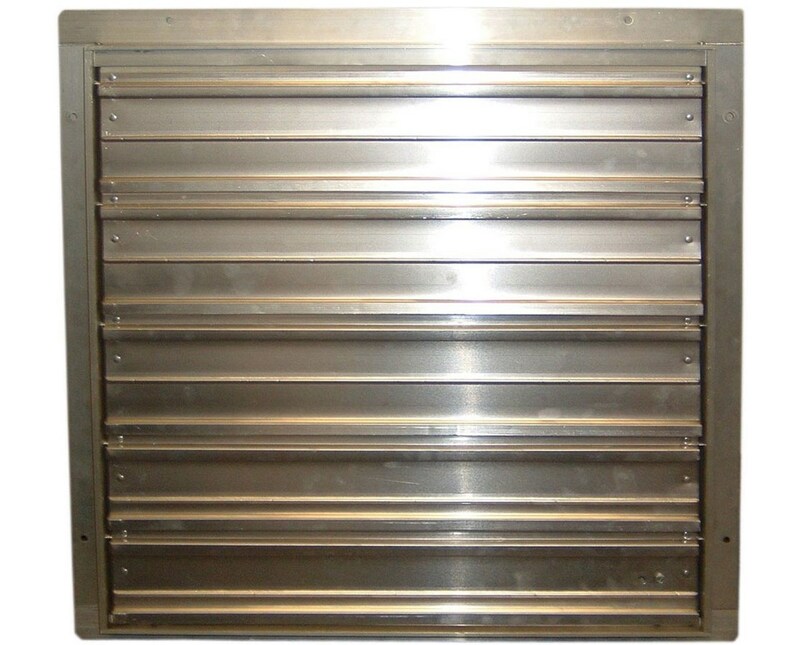 The Heavy Duty Exhaust Shutter for TPI Exhaust Fan offers 10 fan sizes that suit your needs. Please select your preference from the drop-down menu above.